Emad al-Din al-Wakeel was a long-time officer in the Central Security Forces. Wakeel was promoted to Major-General and given command of a CSF directorate in 2007, and in April 2011 he was injured in a car accident while serving as the head of CSF in Southern Egypt. By November 2011, he was the Assistant Minister of the Interior for Central Security, where he drew the ire of rights organizations for coordinating CSF’s harsh response to protesters that month. Wakeel claimed that protesters, not CSF forces, were using gas during clashes. 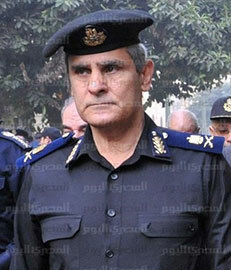 In the shakeup of the security sector in August 2012, Wakeel lost his position. Several outlets reported that he had been reassigned to lead the Canal Zone Security forces—a demotion in all but name—but others included him in a list of officers “referred for retirement.” Reports on the firings of August 2012 describe Wakeel as being against reform of the security sector and his removal from office as part of incremental change. In January 2013, Wakeel endorsed Muhammad Ibrahim Mustafa as Interior Minister and complained about the quality of CSF conscripts.